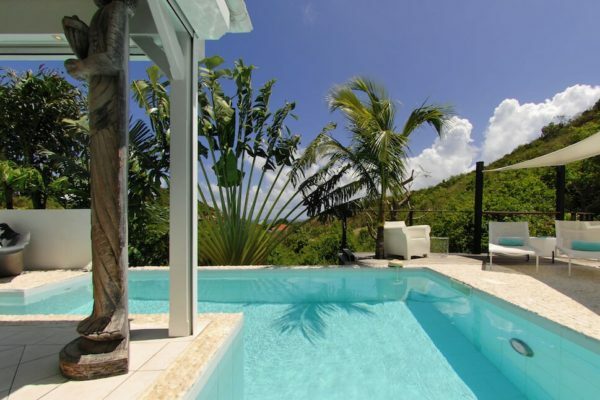 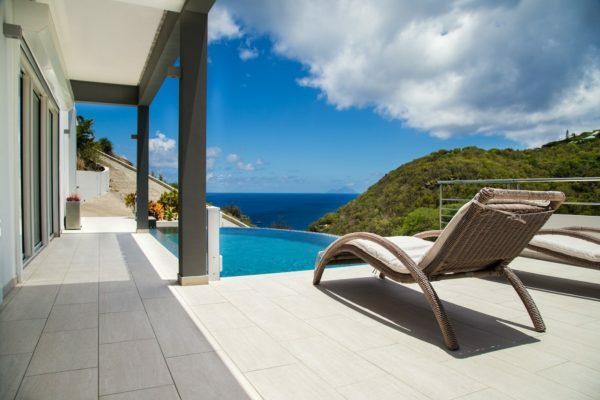 The property is in the heights of Flamands, between hills and ocean. 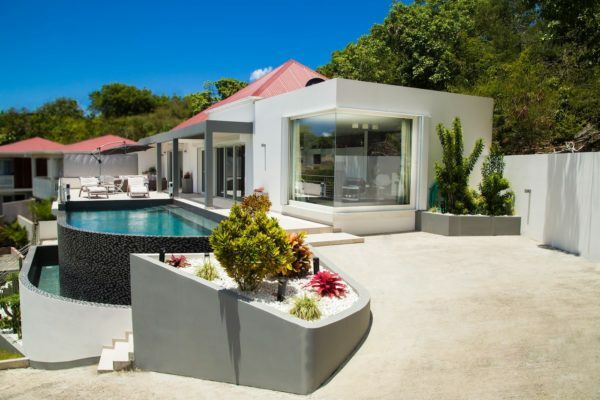 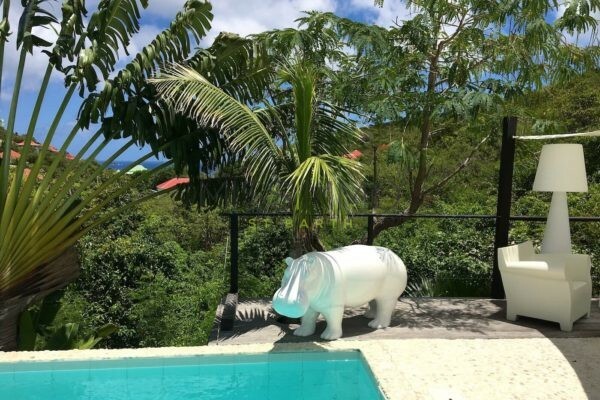 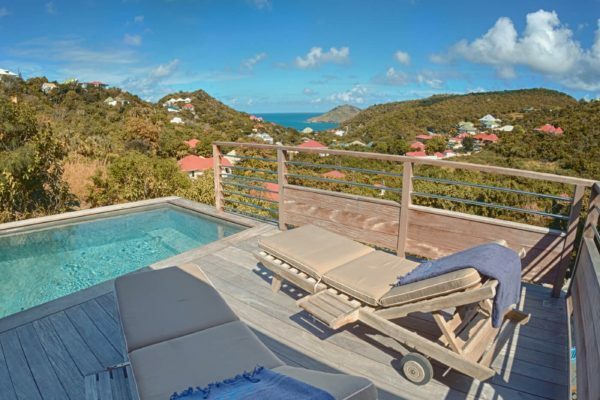 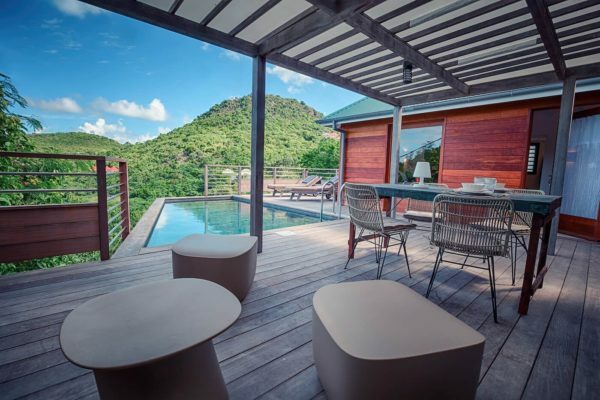 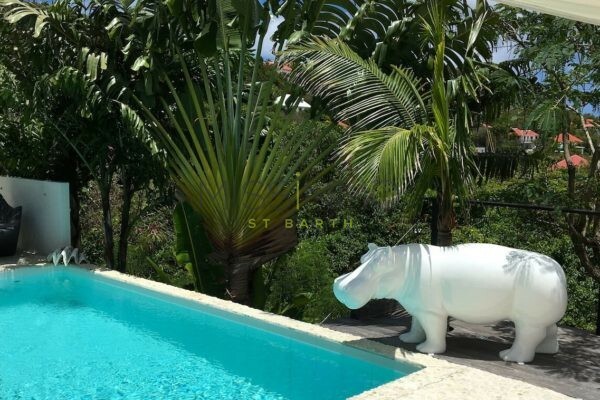 Villa Ti Ylang is a haven of peace when nature, authenticity as well as asian influence unite perfectly to offer you an unforgettable stay in St Barth. 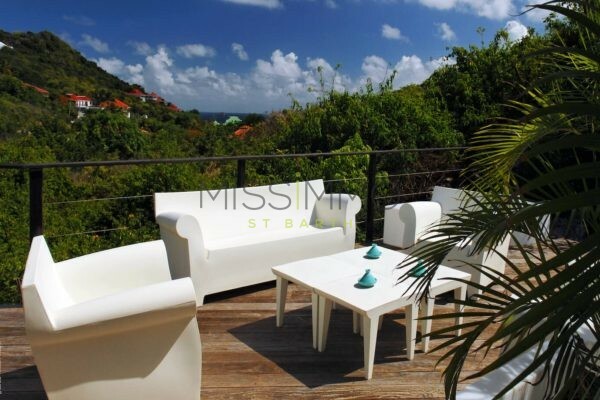 The decoration of the house rests on neutral but also purified tones. 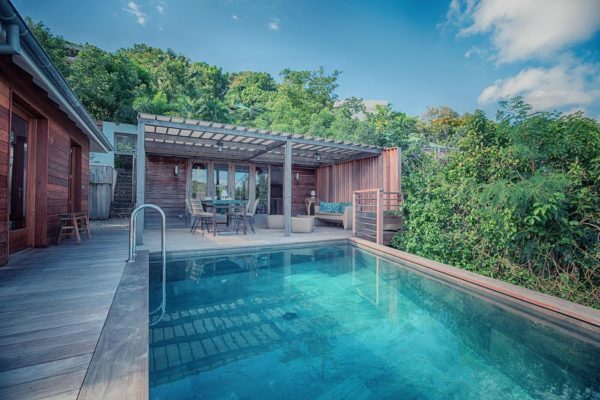 A Zen Atmosphere seizes the place to ensure peace and serenity during your holidays. 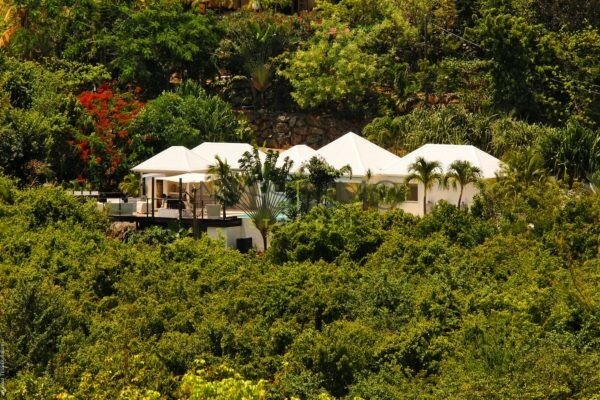 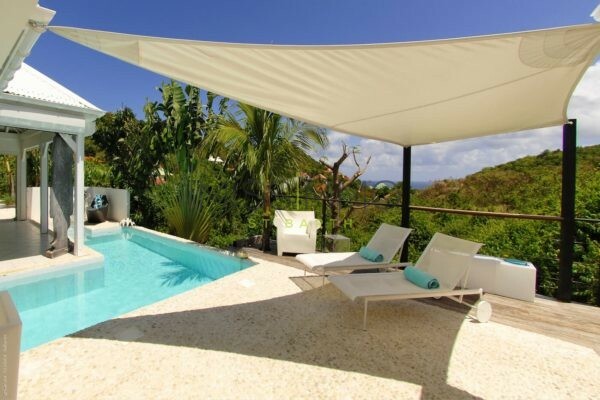 All the different rooms invite to the outdoor, specific to the caribbean way of life. 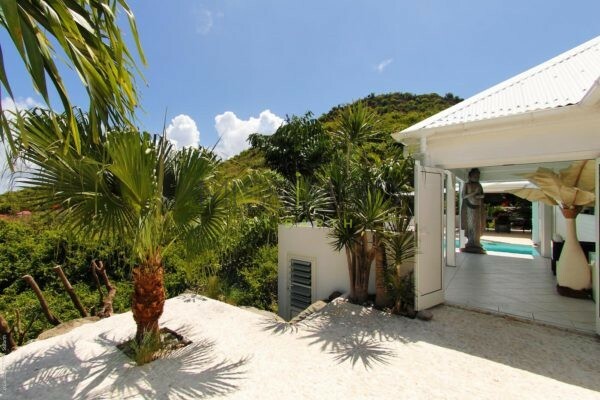 The very bright bedroom has a direct view on the tropical garden surrounding the property. 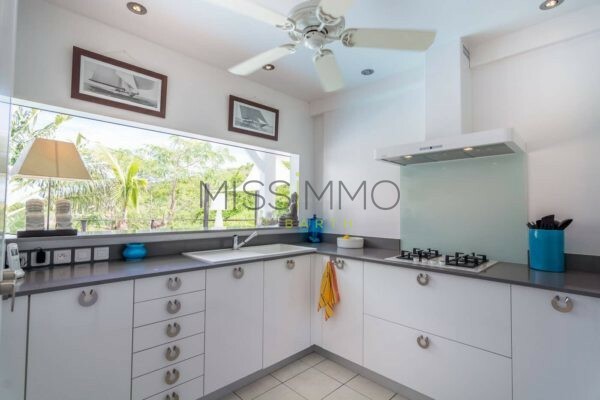 A small kitchen will be perfect for your fresh fish or tropical fruits cooking. 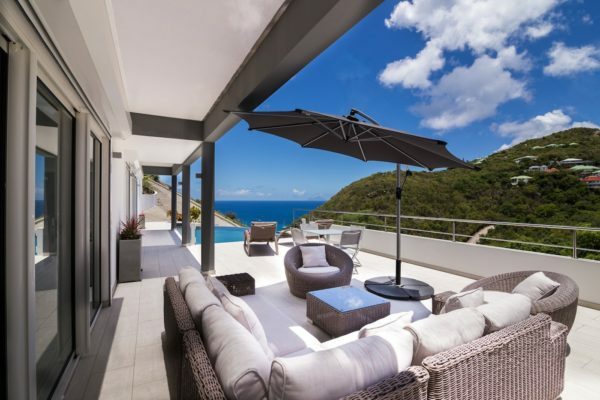 A large living room opens onto a terrace with direct access to the bar and pool. 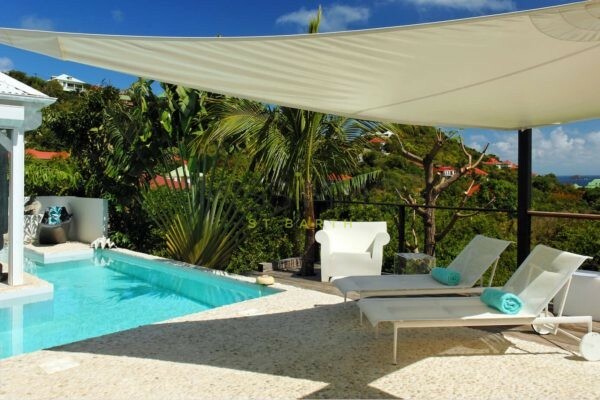 With all amenities, the villa is a quiet and intimate place near Flamands Beach. 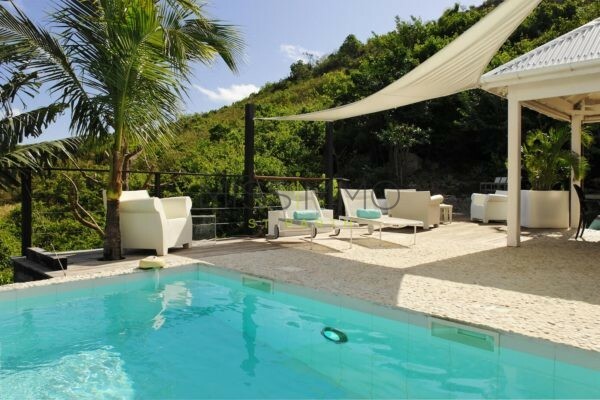 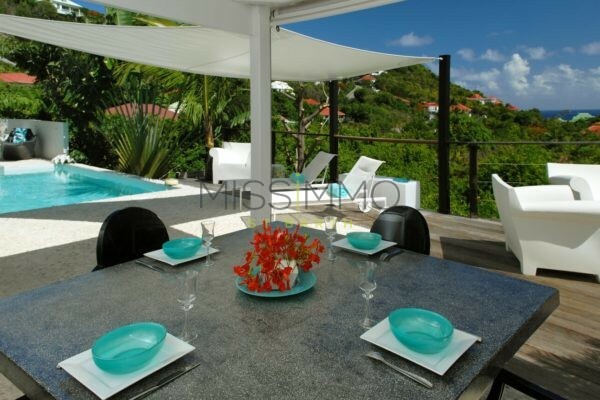 Heated pool (6x3m) – Dining table – Lounge chairs – Gas Barbecue. 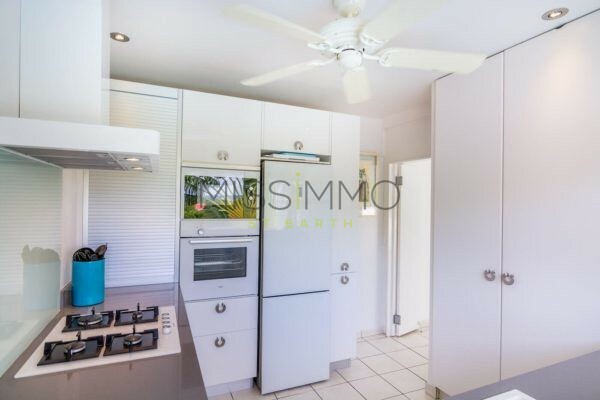 Equipped for 2 guests: Fridge – Freezer – Oven – Cooktop – Microwave – Dishwasher – Coffee maker (Regular & Espresso) – Toaster – Juicer – Kettle – Blender. 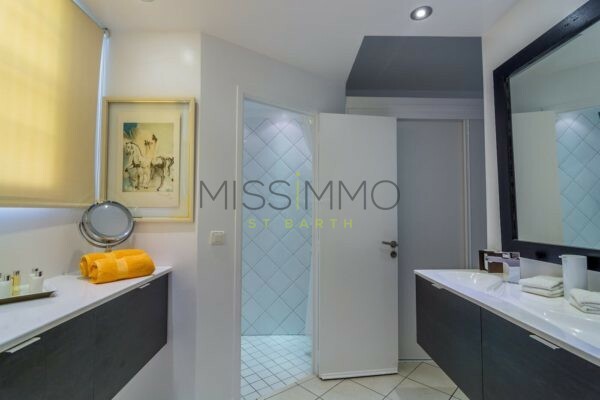 Air conditioning – Euro King Size Bed – Safe – TV – French Satellite – DVD Player – Ipod Dock – Bathroom with shower. 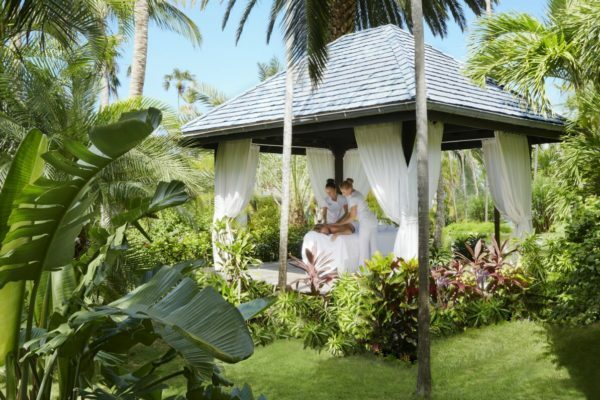 Nestled in the heart of the exotic greenery, the Cheval Blanc Spa is an idyllic retreat dedicated to well-being and rejuvenation. 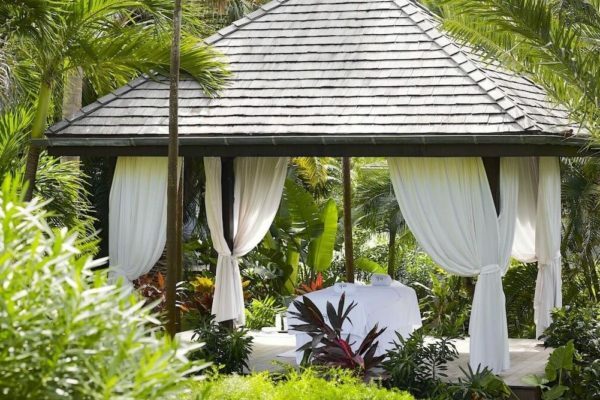 It features four treatments rooms, a sauna, an outdoor relaxation pavilion and a lush spa terrace, with always Guerlain beauty products.